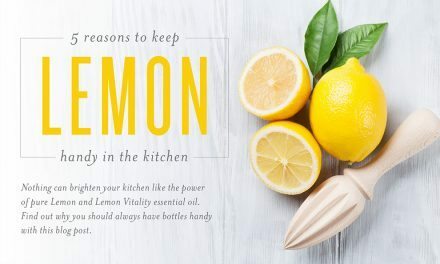 There are a few things I want to get to in this letter, but let’s look at November’s PV promos from Young Living, because they are incredible. Normally I don’t do this, but I want to go skip right to the 400 PV promo this month, because it’s unique. 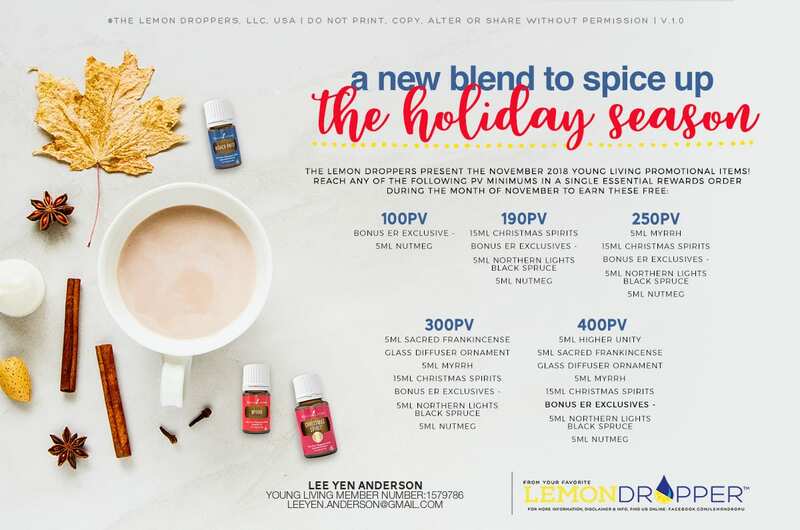 At the 400 PV promo level, not only do you get all the other promos*, but this month you also get an exclusive blend only available for these promos that is valued at over $170 retail! 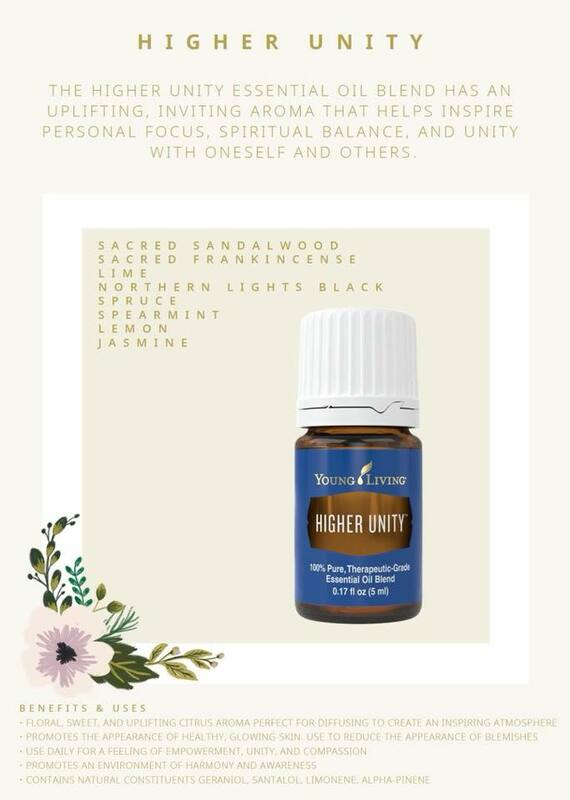 Higher Unity is made with Sacred Sandalwood, Lime, Sacred Frankincense, Spearmint, Northern Lights Black Spruce, Lemon, Jasmine, and Rose. Those are some amazing oils in this blend. Sacred Sandalwood, Sacred Frankincense, Jasmine, AND Rose?! It’s supposed to have a floral, sweet, and uplifting aroma, and with Sacred Sandalwood and Northern Lights Black Spruce in it, you’re going to get some of those woodsy tones to help balance it all out. I cannot wait to put this oil in the diffuser. Oh yeah, let’s not forget all the other promos that are all perfect for helping us during the hustle and bustle of the holiday season. Nutmeg Vitality not only gives you a delicious oil to bake holiday goodies with, but it’s also great as part of a daily health regimen. A 15-ml bottle of Christmas Spirit? Um, yes please. Give me ALL the Christmas Spirit (if somehow you haven’t tried this yet, you really need it in your life – it is the perfect fall and winter aroma that will make you happy throughout your day). Myrrh and Sacred Frankincense both have significance during the holiday season and are incredible for calming, skin care, and helping you feel secure and confident during this busy season. Northern Lights Black Spruce will go great with the exclusive Glass Diffuser Ornament to let the calming and grounding aroma of spruce fill your home (it’s also good for healthy looking skin) – plus, if you have a synthetic Christmas tree, you can use the ornament/Northern Lights Black Spruce combo to make your tree smell like it’s fresh from the woods! On top of all that, the exclusive Higher Unity is the biggest cherry on top of an already stacked lineup of promos. 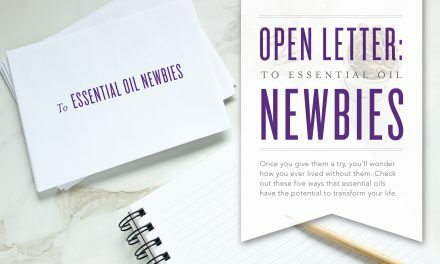 Speaking of Essential Rewards, when any of your friends or family were looking to join us all in this wonderful world of oils as a new member, they now have the option of joining Essential Rewards and having their Premium Starter Kit count as their first order! 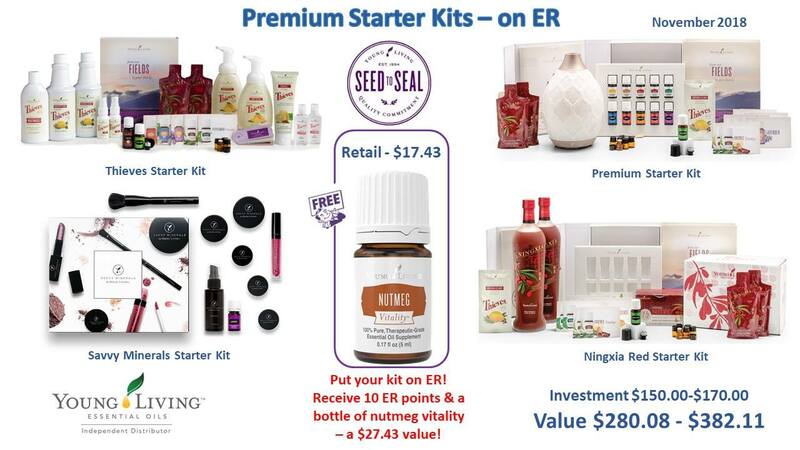 So they start earning those invaluable Essential Rewards points the moment they become a Young Living member. If you’re interested in learning how that all works, or if you want more information for Essential Rewards yourself, just let me know! Now that we’re excited about those promos, I wanted to make sure that you saw that Young Living released their 2018 Holiday Gift Guide last month. There are some great bundles along with new products that can help you cross off so many different items on your holiday shopping list. Chocolate, Car Vent Diffusers, Shower Steamers (these are a must get), new Savvy Minerals products, and so much more fun stuff. If you need some help navigating the guide and finding those just right gifts for your friends and family, let me know! As if that wasn’t exciting enough news, last month Young Living also released a brand new blend called Australian Kuranya. All the oils in it are sourced from our farms in Australia, coming together to create an uplifting blend that’s also great for skin care. 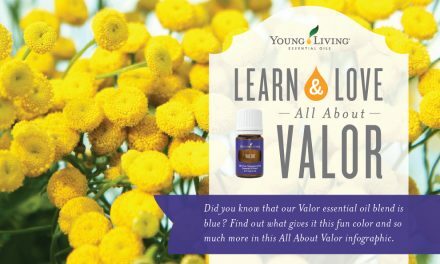 Here’s what Young Living had to say about it. Finally, to celebrate the season, I wanted to share a few diffuser blends that will have you smiling all month long. 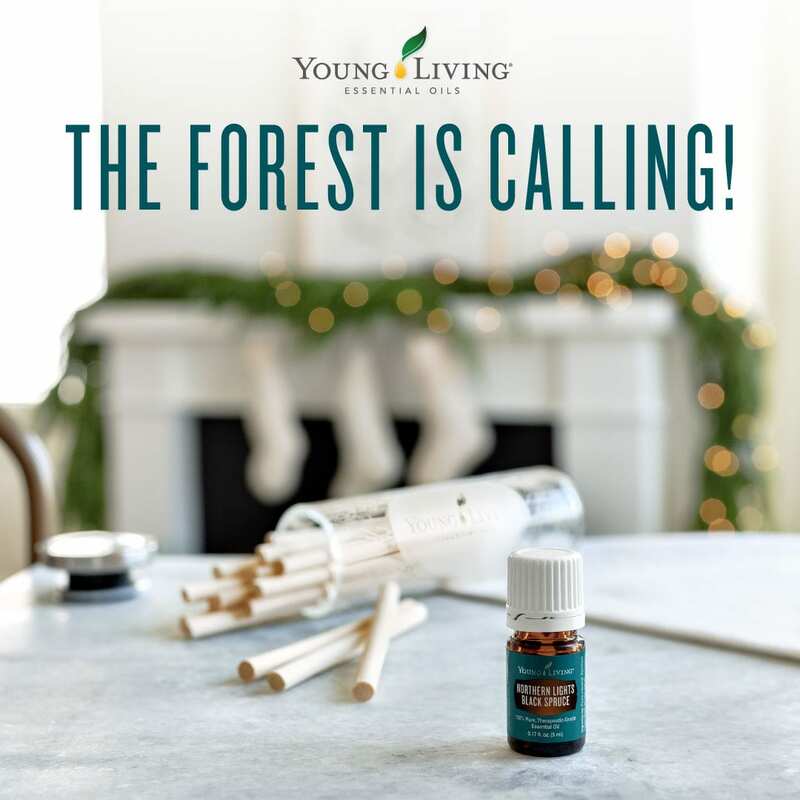 Do you have any other favorites that you really enjoy diffusing during this time of year? If so, I would love to hear them, because I’m always looking for a fun new blend. As always, if you need any help with anything, or if you have any questions, please let me know! I’m always here to help however I can. Break out your fall clothes, build a fire, and snuggle up to everything amazing that this season and Young Living has to offer us, and I hope you have a wonderful November!